Last Season and soon we all be Lost and that is why of course you want to show you Love for Lost. 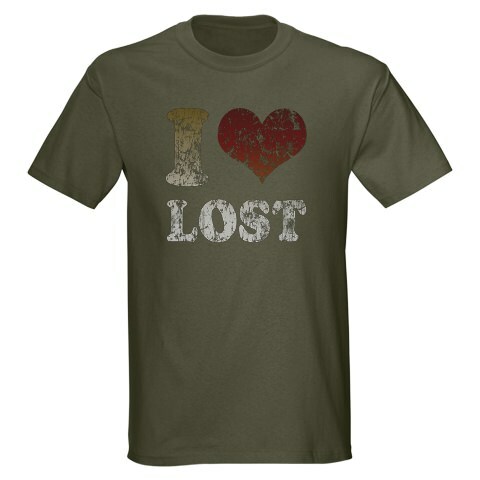 So today order your I Love Lost T-Shirt in one of the many colors. 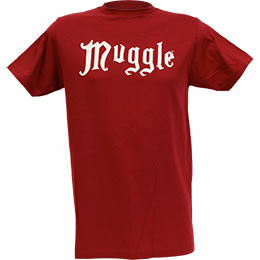 For Muggles all over the world here you have the T-Shirt that tells a wizard that they don’t have to fear you. So when we go see the next Harry Potter movie maybe we should all wear one just to make sure that we are just Muggles. If you have seen Zohan’s movie the you know how important Hummus is in his life. He uses it for almost anything. From food to product you use in your hair. 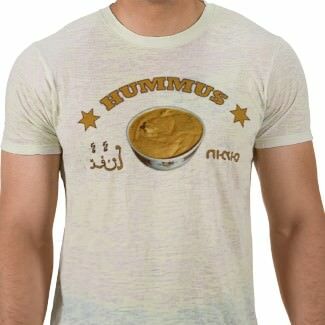 So get this Hummus T-Shirt and show people how important Hummus is to the world. WE ARE SORRY TO TELL YOU THAT THIS ITEM IS NO LONGER AVAILABLE. Real How I Met Your Mother watchers know by now where Ted, Robin, Barney, Marshal and Lily hang out all the time. Yes there downstairs bar MacLaren’s. And that is why you as everyone else in this world could buy this shirt and show you love to the show. 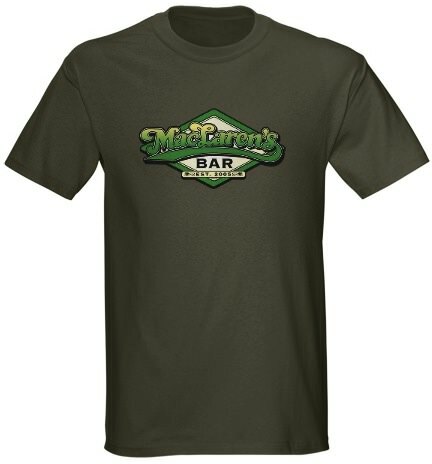 Go have a look at the MacLaren’s Bar T-Shirt. What is more impressive then a guy wearing a shirt that says Don’t worry, I saw it on MacGyver once. I for sure would trust this person right away. 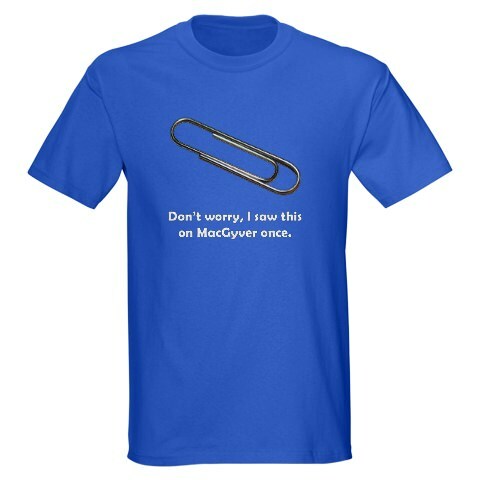 So order you Paperclip T-Shirt before it is to late. Lots of Lost fans would not mind have to be Lost with Sawyer and specially for those women out there we found this Lost item that can’t be missing in you closet. 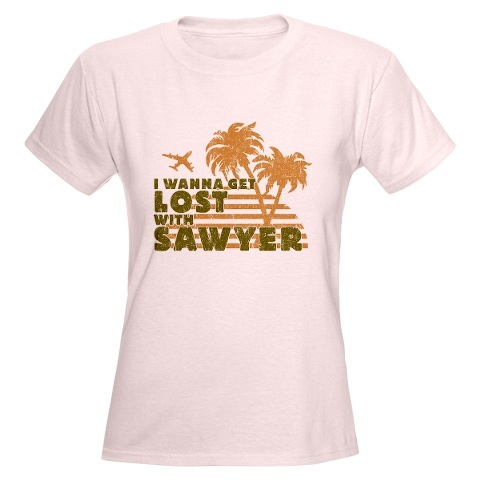 Get your own I want to get Lost with Sawyer T-Shirt for a special place in your closet. 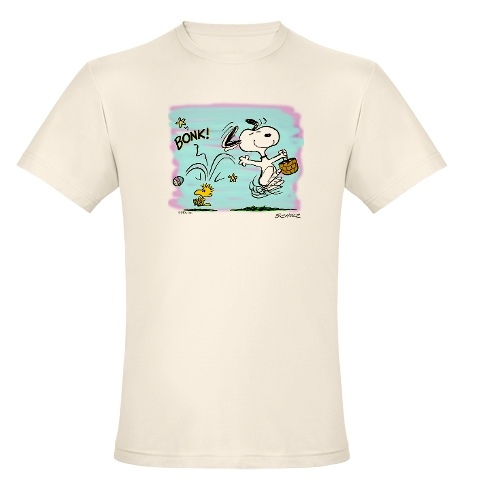 Get ready for Easter with this Snoopy the Easter Bunny T-Shirt. Snoopy go’s all out by passing out the eggs but Snoopy be carefull you are hitting your small bird friend Woodstock. Get your own version of the Snoopy The Easter Bunny T-Shirt. 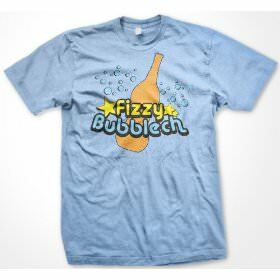 Fizzy Bubblech is the favorite drink of Zohan and that is why you want to own this T-Shirt because you want to show the world how much you like The Zohan. 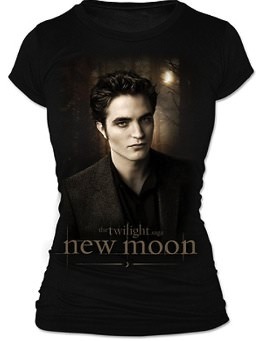 OK ladies now you can show of with your own personal Edward Cullen T-shirt. It is dark in color and dark in print so that you really get the right New Moon fealing. Go order you Edward Cullen T-Shirt NOW! Remember Jack Dalton? The friend of MacGyver that did not help much in most situations. Like when he had his own air carrier services with a really bad plane. 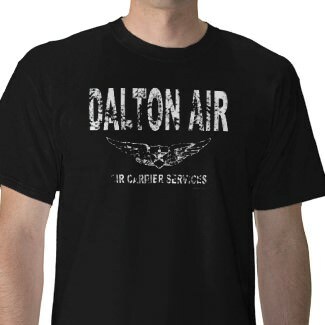 But lets keep Jack in our minds like we do MacGyver and what better way then wearing this Dalton Air T-Shirt.